Soerabaja is the old Dutch spelling of Surabaya, an important trading port city in East Java (Indonesia). This all caps art deco font was based on old colonial posters I found, plus a sprinkling of my imagination. It seems I have a weak spot for Art Deco fonts named after Indonesian cities – partly because the country has always interested me and partly because my wife’s family is from Indonesia. 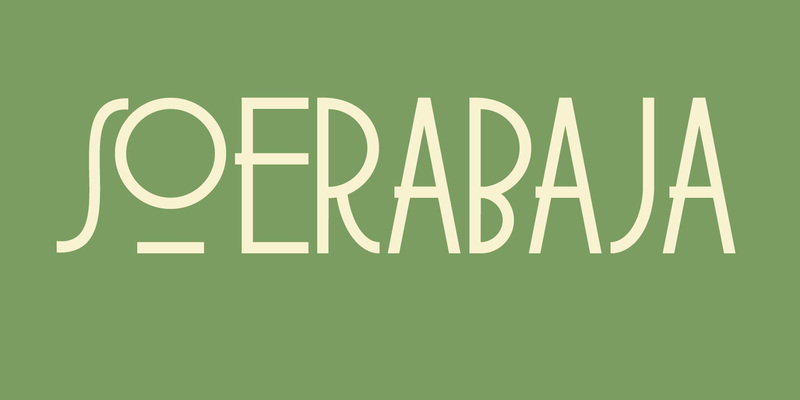 Soerabaja is quite an elegant font, so use it for your book titles, restaurant menus and whatever else you can come up with.